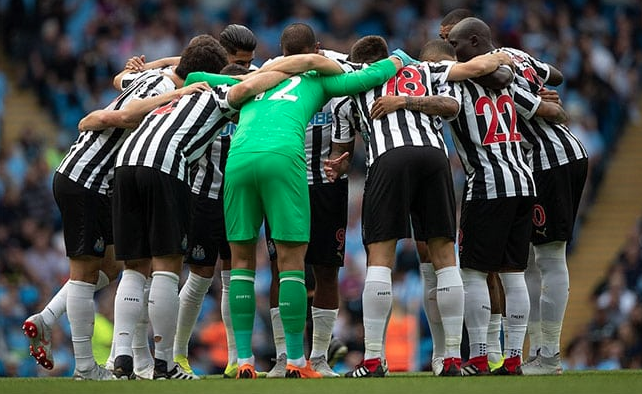 Could this be the NUFC side that starts at Leicester City tonight.. – NUFC blog – Newcastle United blog – NUFC Fixtures, News and Forum. With Florian Lejeune’s injury and the late defeat to Palace last weekend in mind, it would be no real surprise if Rafa made a few changes tonight. The above line-up seems the most likely to me, with Dummet filling in for Lejeune on the left-side of a back three, but I wouldn’t be surprised to see Rafa go back to a 4-man defence, seeing Dummett slotting in at left-back and Schar partnering Lascelles following Lejeune’s season-ending injury. You’d also think Fernandez has every chance of coming back in following Lejeune’s injury, with the Argentine having done very little wrong this season as he waits patiently for his chance. Dropping Yedlin may seem harsh, but Manquillo hasn’t done TOO bad when he’s filled in recently, with the American perhaps needing to realise that he must cut these lapses of concentration out of his game if he wants to keep getting picked each week. In midfield a part of me would like to see Shelvey start, but he arguably changed the game for the worse against Palace, so it may well be two of Ki, Hayden and Diame in the middle for this one. I also get the feeling his days are well and truly numbered under Rafa, so the Spaniard may prefer to take a look at Mo Diame instead – a player who may or may not be handed a new deal this summer. Now Diame’s back fit, a defensive duo of him and Hayden seems likely to me given Leicester will most likely start Tielemans and Maddison in attacking central areas – with them being two players we must stop to deny Vardy of service. Up top the three amigos will almost certainly retain their places, however a return to a flat back four and 4-2-3-1 system could see Perez move centrally and one of Atsu or Ritchie play on the opposite side to Almiron.